BENTON, KY (Jan. 25, 2018) – Kentucky State Police (KSP) is appealing to the media and general public to allow privacy for families impacted by this week’s tragic shooting in Marshall County. Paducah, KY (1/24/2018) Officials in McCracken County have issued a Golden Alert for Michelle Sicard, who has been reported missing since 4:30 p.m yesterday. BENTON, KY (January 23, 2018) –The Kentucky State Police released the following details about this morning’s shooting at Marshall County High School. PADUCAH, KY (January 24, 2018) – The Kentucky State Police have issued a golden alert, requesting the public’s assistance locating Michelle Sicard. Ms. Sicard is a 54 year old white female with short, gray hair. She is 5’07”, 170 lbs. MARSHALL/LIVINGSTON COUNTY, KY (January 19, 2018) – Kentucky State Police are still attempting to locate Ian Hunter. 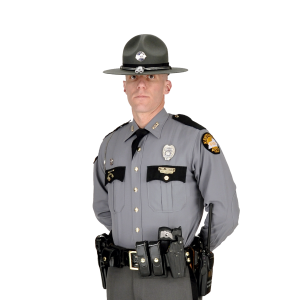 Owensboro, KY. (January 22, 2018) – The Kentucky State Police responded to a single vehicle injury collision near the intersection of KY 815 and Lonesome Pine Trail. UPDATE #3 (1-21-2018): Kentucky State Police charged a Grayson County woman in connection to the Kidnapping and Murder of Tromain Mackall. Owensboro, KY (January 14th, 2018) – Kentucky State Police conducted a traffic stop on 5th street for traffic violations. FORDSVILLE, KY (January 04, 2018) – Kentucky State Police troopers conducted a traffic stop in Fordsville (Ohio County) around 5:30 p.m.
Hartford, KY Kentucky State Police executed a traffic stop on Steven R. Minton, of Horse Branch, and Holly N. Mendoza, of Beaver Dam. Through investigation, KSP discovered that Minton and Mendoza were in possession of and trafficking in methamphetamine.